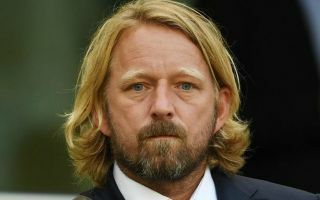 Arsenal are reportedly in the market for a new winger in the summer transfer window, with departing head of recruitment Sven Mislintat championing an ambitious move for Nicolas Pepe. The Lille winger is seemingly the recommendation of the German chief, according to football.london, though they state the Gunners may look at Leandro Trossard as a cheap alternative. It has previously been claimed that Pepe could both be expensive and a man in demand in the near future, with Don Balon linking Liverpool as chasing the Ivory Coast international, who they say is valued at around £72million. Pepe has been in exceptional form in Ligue 1 this season, showing great pace, skill and an eye for goal in an attacking midfield role. Trossard doesn’t quite look in the same league, but Arsenal are rarely among the biggest spenders in the transfer market, so may have to accept losing out here. Mislintat is due to leave his position at the Emirates Stadium this month, but it seems he’s a fan of them bringing in Pepe, though if he moves on it will be interesting to see if he can end up helping his next employers do a deal for the 23-year-old. Pepe could also be a fine signing for Liverpool, however, following a slight dip in form from Roberto Firmino and to a lesser extent Mohamed Salah this season, with more options surely needed for Jurgen Klopp up front.